Lake Rotoroa is a key community resource for the Hamilton region. The tangata whenua who first settled in the area hunted eels, freshwater crayfish and mussels from the lake and built their homes from the surrounding rushes. Development of the Lake Domain has been an ongoing project for the city since it was declared a reserve for public recreation in 1886. The site on the corner of Ruakiwi Road and Pembroke Street is the location for Lonnie’s installation, celebrates Lake Rotoroa’s significance as a source of sustenance and community enjoyment. Lonnie Hutchinson draws upon her Ngai Tahu and Samoan heritage to create artworks imbued with a strong sense of place and ancestral significance. 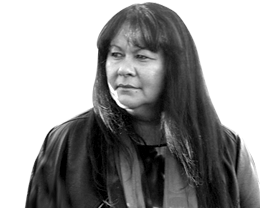 Renowned for her acute confrontation of contemporary issues faced by Pacific women, Lonnie exhibits internationally through a broad range of visual and performance media. Her distinctive paper sculptures celebrate the Pacific through the use of customary techniques and traditional motifs. And her wooden carvings are a key feature of the recently renovated Auckland Art Gallery Building. Lonnie is represented by Jonathan Smart Gallery and Bartley + Company art. "The concept for this work is my response to the history of the lake and its significance to tangata whenua in the past and indeed now and in the future."